Find great deals on Kuala Lumpur hotels through Expedia. WELCOME TO KITESURF 1770 ... Come & Get Hooked! The New Naish "FLY" 2013 light wind kite is here ! Freebord in stock ... ready to snowboard the street ! IKO learner book for sale ... still some in stock ! The Story of kitesurfing ... how it all started ! Why kitesurfing is the fastest growing sport on the planet ? 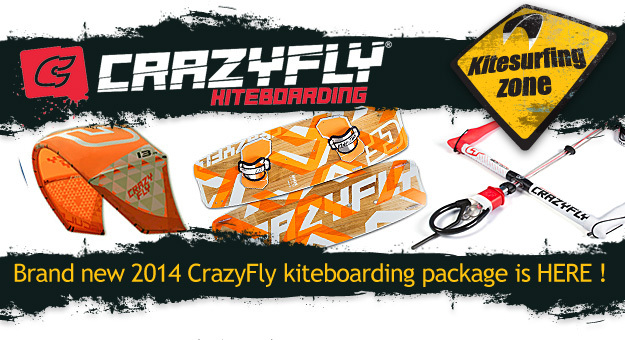 At Kitesurf 1770 we are thrilled to announce the arrival of our brand new Crazyfly 2014 Sculp kites and Allround boards. This Crazyfly SHOX CUSTOM & BULLDOZER board and SCULP & TANGO kite package will take you from any beginner level to the most advance moves and jumps. Contact us for more info and full prices. The Tango kite is a brand new addition to our kite range for 2014. It is a very unique kite with a revolutionary feature invented by CrazyFly: the Nifty Bridle System. This feature allows the rider to easily switch between three riding modes: wave, freeride/freestyle, and wakestyle. The Nifty allows for changes to be made directly on the Tango’s bridle very quickly and easily. The different settings on the Nifty bridle system change the flight characteristics of the kite to the extent that it becomes better suited towards the chosen riding style. CrazyFly is the first company to introduce such a feature to the market that allows for three riding style settings on one kite. OCEAN EXTREME WATERSPORTS SUNGLASSES 2014 ARE HERE IN STOCK !! We just received a brand new stock of 2014 sunglasses specifically made for water sport and extreme watersport ... they all come with polarised lenses (different styles) and elastic adjustable straps to make sure you dont lose it when you practice your favorite water sport. Really competitive prices and free freight all over australia. Prices starting at $ 45.- to $ 75.-. Go tour our shop if you are ready to order through paypal or call (0422.806.235) us for credit card payment. Ocean sunglasses are high performance sunglasses for watersports with modern and attractive designs that look good and work in the surf. Atom Optics system offers the best way to see clearly with 100% UV protection and fully polarized lenses. All sunglasses come with a bag and an adjustable/removable elastic strap. 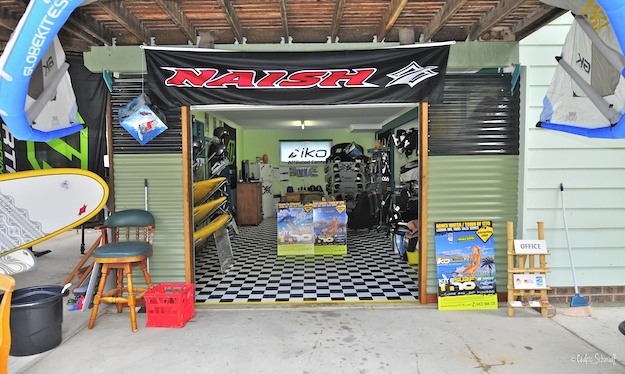 IKO Kiteboarding School & Center in Agnes Water & Town of 1770, Gladstone & Tannum Sand Area. All level lessons, hire, Tours & KiteSurfaris, Sales ... Much more services !! KiteSurf 1770 Team ready for 2014 kitesurf season !! At KiteSurf 1770 we are now ready to take care of your needs for the next season 2014 ... This Season we will cater for more Clinics, more lessons, more tours, and some special events ... We now have the team ready for your next tours, kitesurfing lesson of all level, fixing, alteration & repairs to your kite equipment ... plus some brand new Demo Kitesurfing gear to try and purchase !! Learn More About the KiteSurf 1770 Team. KITESURF 1770 NOW OFFERS PROFESSIONAL KITE REPAIRS !! We are now pround to be able to offer a new & Professional Kite Repair Service in house right here in Agnes Water / town of 1770 / Seventeen Seventy. With 35 years experience Phil McConnachie has accumulated ... he will be able to fix & Repair your kite, bladder, strut, canopy ... meaning anything kite ... in no time and even better with a lifetime warranty and fast turnaround ! At IFixKites.com we are rider operated and owned and dedicated to kiting at any level. We have over 35 years experience in the kite & kite repair industry and share your passion for kiting. We provide excellent workmanship and service (generally finding the repaired area is difficult to spot once repair is completed), and strive to perform a fast turn-around and returned to you to ensure a minimum time off the water. Our repairs work is fully guaranteed for the lifetime of the kite. THE NEW NAISH "FLY" 2013 LIGHT WIND KITE IS HERE !!! "The power of an 18m with the turning of a 12m"
We have been absolutely thrilled in testing the new 2013 Naish "FLY" light wind 2 struts kite. This is probably the best light wind on the market and from far the fastest and most powerfull kite we have tested !!! The Fly Kite is now available for sale at KiteSurf 1770 shop and we will stock them ... the next arrival is for mid August but in the mean time you can come over and give it a crack / test ride to check the great performances of this new kite. This amasing FLYing machine is only RRP $ 2'299 .- ... Order before the end of August 2013 and get a FREE pair of Kiteboarding Polarised Sunglasses !!! Target: Designed for fun in light to marginal wind conditions. The Fly goes in virtually no wind and is incredibly fun to ride. Its exceptionally light weight is primarily the result of removing the center strut. In doing this, the center section of the canopy performs like a spinnaker and generates incredible power in light wind. The Fly uses the Park's proven easy-handling design, which gives it superior turning ability, but it incorporates more overall sweep, which helps the Fly relaunch in marginal wind conditions. Increased wing sweep: Easy water relaunch. 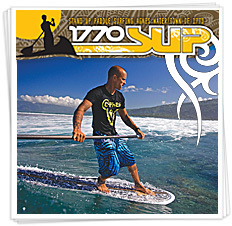 VISIT OUR KITESURF 1770 SHOPPING PAGE ! MAKE SURE YOU VISIT OUR KITESURF SHOP ONLINE TO GRAB A BARGAIN WITH BRAND NEW KITEBOARDING EQUIPMENT OR SECOND HAND KITES AND KITEBAORDS ! IF YOU FIND A BETTER PRICE ONLINE WE WILL BEAT IT BY 5% ON ALL BRAND NEW KITES AND BOARDS LISTED ON OUR SHOP ! WINTER WHITSUNDAYS KITESURFARI 2014: DEPARTURE JUNE 8TH AT 4 PM AND RETURN 13TH AT 2 PM, ONLY $ 1500 .- ALL INCLUSIVE, FOR 5 DAYS 5 NIGHT ON BOARD OF LARGE 46 FEET SAILING CATAMARAN !!! Or keep on visiting our home page or this same WHITSUNDAYS WINTER KITESURFARIS page for the latest info on our WHITSUNDAYS SAILING KITESURFARIS !!! PRICE: BASED ON 8 KITESURFERS (BASIC PRICE WITH YOUR OWN KITE GEAR) $ 1'500 .- PER PERSON ALL INCLUDED (may change depending on bookings numbers) for 5 nights and 5 days. We are planing to organise a trip per month for the June, July, August months … dates will be definite depending on people bookings … Price may change if less people are booked in. It will obviously cost a bit more if less people are on board, as the price is mainly based on the boat hire. A $ 500 deposit will be required at bookings and balance of amount 5 days before departure. Bank deposit is the best and cheaper way to pay … unless you want to pay by credit card (3% surcharge). Probably some of the best quality trainer kites on the market. We are proud to represent and retail Peter Lynn Kiteboarding Equipment and Trainer kites ... We just received some of the best Trainer kites we ever flew ... best quality as well ... hard to beat the Peter Lynn quality and performances ... come and try for free or purchase online ... Satisfied or get your money back guarantee ! Purchasing a trainer kite is a great idea to improve your flying skills and in that sens save some money on lessons ... contact us for more details on "Lesson & trainer kite" Packages. What is new @ KiteSurf 1770 ??? Well the show room is full of Brand new 2012 FONE, PETER LYNN Trainer Kites & Inflatable kites as well as the brand new CORE kites (best seller 2011 in Europ) ... still a few second hand package to pick up FAST ... Some new tours and kitesurfaris to happen soon ... New Stand Up Paddle Hire packages ... Second Hand Kiteboarding Gear to purchase and some Great Brand new Kiteboarding Equipment Packages to purchase online !!! Here is the new arrival in the services of Kitesurf 1770 ... we are now snowboarding on the asphalt ... yep !! If you are really seriouse about learning kiteboarding ... you need that book ... but be CAREFUL !!! ... it wont replace the lessons !! FREE SHIPPING IN AUSTRALIA ! 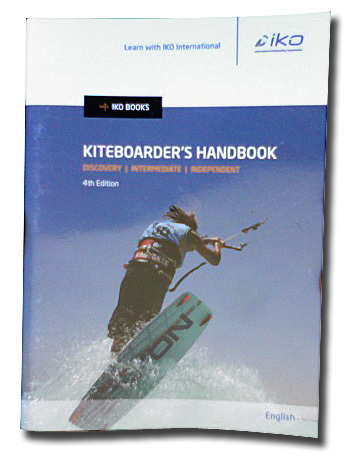 A new pimped out version of the IKO Kiteboarder’s Handbook is now available! This fantastic 4th edition is like no other! It follows the updated IKO Student Standards and has been expanded to 80 pages full of great explanations, pictures and diagrams. Updated quizzes at the end of each level will test your student's knowledge and make sure that you've done a good job! It is the perfect companion while learning or teaching kiteboarding. A must have for IKO quality standard teaching! Historic turning point for kitesurfing back in 2000. The Coca Cola waves of freedom campaign nationwide primetime TV, cinema, billboards, buses, POS and event schedule. By far biggest boost and most significant media event for kitesurfing ever. Brightly coloured giant kites litter the 1770 Sandbar as seabirds wheel overhead riding the wind against the backdrop of a clear blue sky - imagine their surprise as a thrill seeker, dangling inverted, suspended in the air from a 13 metres wingspan appears in their path, only to drop away again to land in the clear waters of the estuary below. Kitesurfing is one of the world's fastest growing sports for a reason – it is really easy to learn ... does not require any special skills and ... it's so much fun! With the newest extreme water sport craze on the block hitting the beaches of Agnes Water and the Town of 1770 in the Gladston Region, Qld, with the arrival of Kitesurf 1770, the sky really is the limit! Whether you are a beginner or a seasoned veteran, Kitesurf 1770 can tailor an instructional package, a taster session or a "Downwinder" tour to suit your needs. With expert instruction from our team of (International Kitesurfing Organisation) IKO certified instructors in some of the most favourable conditions available set in an environment of natural native bushland, rocky headlands, crystal clear water, national parks, and postcard perfect river estuaries, you too, can fly! Kitesurfing has become a sport that can be enjoyed by all age groups and levels of fitness and, to accomodate, Kitesurf 1770 offers several different packages for learning to kite-surf, from an introductory group lesson to intensive one-on-one training covering all levels from beginner to advanced with full certification available. With the addition of "Downwinder" tours into local National Parks, you can fly and surf for kilometres of un-interrupted coastline, nothing but you, the surf, sky and wind and of course, your fellow adrenalin junkies. Kitesurf 1770 is the brainchild of Cedric Schmidt, local photographer and extreme sport enthusiast. Since first being introduced to the sport Cedric has been following the wind up and down the coast for the supreme rush of being airborne over waves in some of the most pristine stretches of coastline available on the East Coast and with the arrival of our permits to operate locally on Agnes Water Main Beach, 1770 Estuary sandbar and surrounding National Parks including local Rules Beach, Jenny Lyn and Pancake Creek, the all Gladstone Region, as well as the Great Barrier Reef, we are off and flying! Our team of certified instructors have completed their IKO Instructor training in various locations around the world and pride themselves on providing a safe and secure environment for you to gain the confidence to achieve results quickly and to ensure your optimum enjoyment of the learning process. With the recent purchase of Headzone coaching helmets we can give you immediate feedback and support throughout the training sessions to guarantee 100% coaching time while you are on the water. Come and experience the sexiest and most exhilarating water sport in some of the most beautiful coastal waters of Queensland. The pristine beaches and rivers around the town of 1770 and Agnes Waters are amongst the best kite boarding locations on the planet. The shallow water and consistent wind is ideal for beginners and very safe for your first lessons. 1770 headland with the sandbar on the right ... flat lagoons, shallow water ... perfect with northerly winds !! Join one of our Kitesurfaris: Unreal journeys to unforgettable places - organized for all skill levels. We are hooked on kitesurfing and know that, if you aren't already hooked, there’s a good chance you will be too! Only in a safe learning environment you will gain the confidence required to achieve your desired results and most importantly have fun and enjoy yourself while progressing into a new sport at your own personal pace. That is why your safety & comfort as well as fun ... is our absolute priority! We are an IKO Certified Center/School, who offers a friendly and professional service using only the latest techniques and equipment available. All our instructors are IKO certified, with an excellent local knowledge of the area. Learn to Kiteboard in Agnes Water / 1770 with fully certified IKO instructors. We can tailor a "learn to" package to suit your budget and needs. - group, individual and custom tours for beginners or experienced flyers. - one-on-one training or group packages for beginners or experienced flyers. Come fly with us - The Sky is the Limit !!! Click on our FAQ page for more info on Kitesurfing in general!